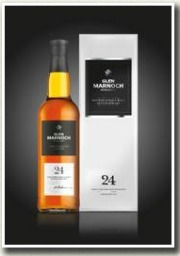 So as I’m sure most of you are aware, Aldi have released a 24 year old Glen Marnoch and a 40 year old Glenbridge for the astonishingly low prices of £29.99 and £49.99 respectively. Unfortunately none of us could make the official launch in London. Despite our slovenly appearances and ultra laid back manner, we are genuinely busy lads. Honest. Ben, one of the chaps at Master of Malt, grovelled and begged us to give him our ticket (I may have embellished that somewhat) so he could attend what would surely be one of the most memorable whisky launches in recent memory. So, a couple of Tuesdays ago, I had possibly one of the most random evenings of my life. And I’m not talking about the end of the evening, where Myself, Joel Harrison (one half of caskstrength.net), Dr. Whisky, and Pierre from off of that there Connosr ended up in a basement Sherry bar late in the evening arguing the finer points of the various Port Ellen releases over Manzanilla and nibbles. No. 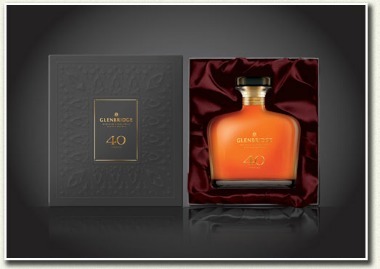 I’m talking about the launch of Aldi’s 40 year old whisky. If I’m honest, the main draw of the evening for me wasn’t the fact that Aldi were launching a 40yo whisky, it was that the evening was being hosted by everyone’s favourite / least favourite (delete as applicable) whisky critic Jim Murray. Having spoken to Jim on a number of occasions, and read his bible every year with a mixture of anticipation, and foreboding, I couldn’t pass up the chance to meet the chap in the flesh. We began the evening with a talk from Jim about the way in which he approaches each tasting session, which is basically to cleanse his palate with Coffee. Cue some absolutely fantastic questions from Fiona Beckett about exactly what type of coffee, the countries he favours, the brewing apparatus and temperature used – to which Jim’s answer was (reading between the lines) “doesn’t really matter. Just coffee.”. We even went as far as to retire to another room so that the smell of the coffee wouldn’t affect the tasting. I’ll give him this, Jim is definitely thorough. 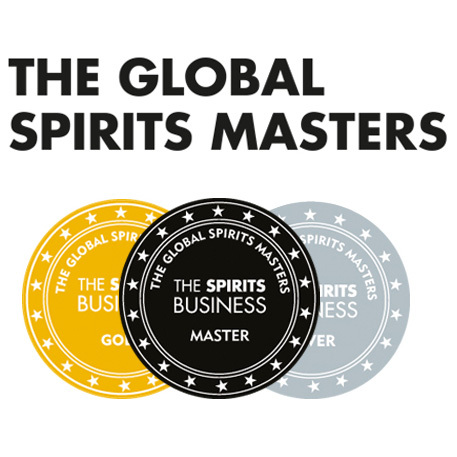 I posed the question that I’d been waiting for literally years for: “So, Jim – do you really not like any whisky that contains even the merest hint of Sulphur? Surely there must be one or two that you’ve come across over the years that had other redeeming qualities?”. The answer? “Let me put it this way – do you know why they make pot stills out of copper?”. Fair enough. We were talked through the two whiskies that were on offer, the Glen Marnoch 24 Year Old, and the Glen Bridge 40 Year Old. Jim’s technique of warming the whisky prior to nosing and tasting caught me a bit off-guard if I’m honest (there was a good 2 or 3 minutes of hand-warming and breast-cupping prior to tasting) and I’m not really sure if I ‘got’ it. Jim even went as far as to say that when he’s doing his ‘big tasting sessions’ he has a bowl of warm water in front of him, in which he floats tasting glasses to pre-warm the whisky. All the heat served to do (for me personally) was release a load of volatility into the glass, but each to their own I suppose. Nose: Red apples, bourbon, gristy, vanilla. Heat brings out more bourbon and rye spice. Palate: Lean, slightly bitter, not a huge deal of depth. An enormous hit of almost saccharine sweetness before the rye spice develops into a slightly acrid note? Finish: Acrid saccharine turns slightly alkali, and slightly mouth-watering (not in a good way). Becomes really very off-putting at the death. Overall: Not impressive, at any price. Nose: Sherry, Rancio, big fruit, Brazil nut shells, very pleasant indeed. Palate: Sherry fruit, date, walnut, rye spice, bubblegum, dries slightly. Finish: Touch of peppermint, the cask definitely makes itself known – maybe slightly over the hill, but all in all a pretty good finish. Overall: A ‘good’ whisky. There’s one true test of whether a whisky is ‘good enough’, and that’s whether or not you’d reach for another glass. This is, and I did. After the tasting, and in true game-show style, we were asked to guess the price of the two whiskies. I think my guesses, from memory were £55 for the 24yo, and £150 for the 40yo (and these prices would have been fiercely competitive). There were some genuinely astonished faces when it was revealed that the whiskies were to retail at £29.99 and £49.99 respectively. So – how does this make me feel personally? The fact that the somewhat exclusive world of older whisky is going to be opened up to those who otherwise may not get the chance to sample such venerable drams can only be a good thing, regardless of who it is that’s doing it, or what their motive is providing the whiskies are good. The 24yo is, in my opinion, a deeply bad whisky, and anyone who manages to pick up a bottle of this will be gravely disappointed, and what’s more, potentially put off good whisky for years to come. This is sad. The 40yo, on the other hand is really pretty bloomin’ good, and at £50 is an absolute steal. My sincere hope is that people will buy this and try it, as opposed to buy it, pop it on the shelf, and point to it for the next 20 years and say “That’s 40 years old, that whisky is”. In reality, I’m not sure how much of it will get drunk, but we can live in hope. 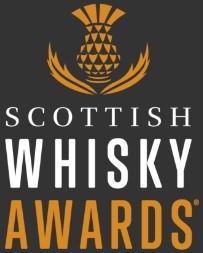 I’ve seen various reactions to the prices so far, ranging from “we’ll all be pretty lucky if we get hold of one” (caskstrength.net) to “it’s disrespectful to the folk who made it 40 years ago” (Stephen Marshall, Global Brand Ambassador for Dewars). Read Ben’s full account of his trip to the Aldi launch here where he also discusses palate cleansing with Jim Murray, the (un)sustainability of selling these whiskies for such a low price and how his doppelganger is Dom Joly. This entry was posted	on Tuesday, November 22nd, 2011 at 7:51 pm	and is filed under News. You can follow any responses to this entry through the RSS 2.0 feed. Responses are currently closed, but you can trackback from your own site.